Navigate with insight. Workout with fulfillment. Our highly trained staff is committed to creating insightful workouts that fulfill your goals. Pilates elongates and strengthens, improving muscle elasticity and joint mobility. A body with balanced strength and flexibility is less likely to be injured. Pilates exercises train several muscle groups at once in smooth, continuous movements. By developing proper technique, you can actually re-train your body to move in safer, more efficient patterns of motion - invaluable for injury recovery, sports performance, good posture, balance and optimal health. Our goal is to increase your quality of life through movement. Have more questions? Email us at pilates@corefitprov.com! 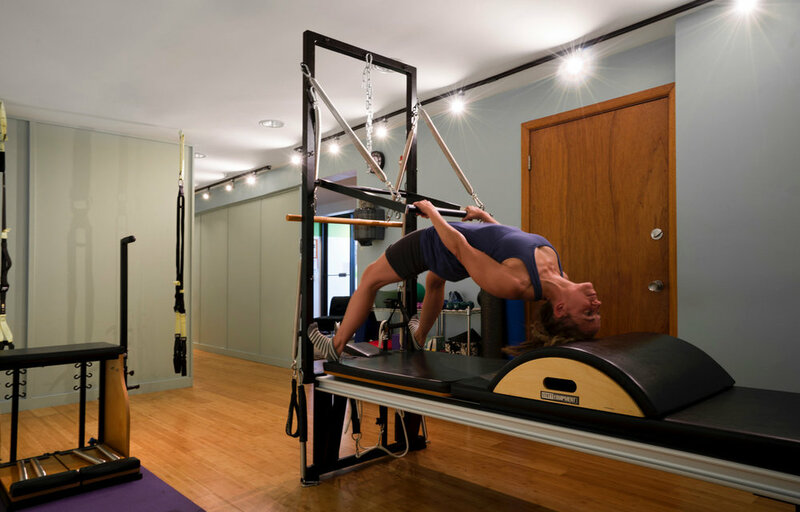 At our Pilates Studio, we are dedicated to providing clients with personalized programs suited to their needs through private lessons. At the first session, an Intake Form is completed to let our team know about any specific body issues and fitness goals. We go through a posture, gait, and spine assessment and identify areas of strength, weakness and flexibility. This session will be used to structure an individual Pilates conditioning program based on each persons physical needs. An ongoing record of any progress and various observations will be kept on file so that our instructors may review and monitor the progress effectively. We also provide small group training classes with a maximum of 5 clients per class. There are a variety of classes to choose from like COREformer, COREformer Flow, Tower and more! Feel like taking your mat work to the floor? There is a Pilates Mat class every Saturday at 9:30am at our East Ave location suitable for all levels!